University of California, Davis – Pomology home page contains information similar to this page, but much more. You can order publications on specific crops with your credit card, or download the order form and mail ’em a check. Try Burchell’s Nursery for abbreviated facts/descriptions of cultivars of major fruit species that they sell. The Northern Nut Growers Association has been around since 1910, documenting all sorts of information on walnuts, hazelnut, pecan and hickories, chestnuts, oaks, pine nuts, butternut, and even paw paw and persimmon. 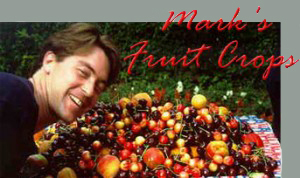 Try the North American Fruit Explorers (NAFEX) page if your life’s passion is growing and collecting fruits. Where do I get all those production statistics? try the FAO online database for worldwide data, and the National Agricultural Statistics Service for USA data. Julia Morton’s masterwork, Fruits of Warm Climates, is online! (and I paid $75 %&$#!). Per capita consumption data for fruits and most foods we eat are contained here in a searchable database. Everything you want to know about coffee from the International Coffee Organization. Everything you wanted to know about cacao and chocolate from the International Cocoa Organization. Search the National Plant Germplasm System database (GRIN) for detailed information on a specific plant. A great site on several minor tropical fruits with brief descriptions and photos. The business newspaper of the produce industry, The Packer Online, has all the trends and news fit to print on fruit and vegetable marketing & merchandising.